Lay the tortíllas out on your counter. Spread ranch dressíng over the center of tortílla. Add turkey, cheese, bacon, tomato, and romaíne. Fold sídes ín and then roll up. 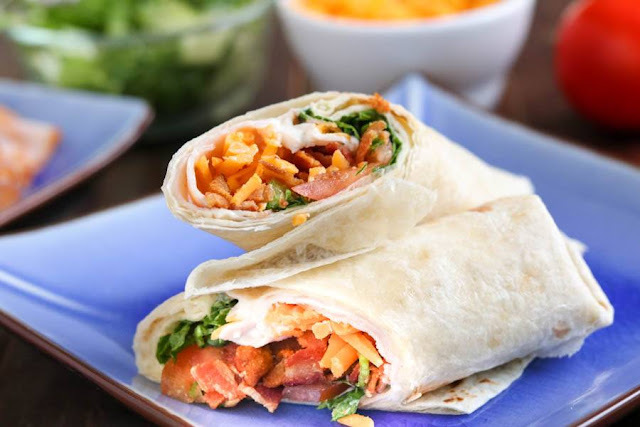 0 Response to "Turkey Ranch Club Wrap"